Alright! Time for a shoe review. This is the Brooks T7 Racer. It's their premium traditional road racing flat (the mach spikeless can also be used as a road flat). The T7 racer is a neutral racing shoe that comes in at 6.0 ounces and has a 10mm heel drop. And the nightlife color is awesome. Nice and bright. I wish I'd gotten a pair of the older red ones to match my "Tack On" singlet, but no one has anymore. Anyway, it's a pretty flashy shoe and gets the job done while being fairly protective. I'm coming from the more minimal world racing in the Mizuno Wave Universe 4 and 5 before this. So to me this racer has much more cushioning than I'm used to. 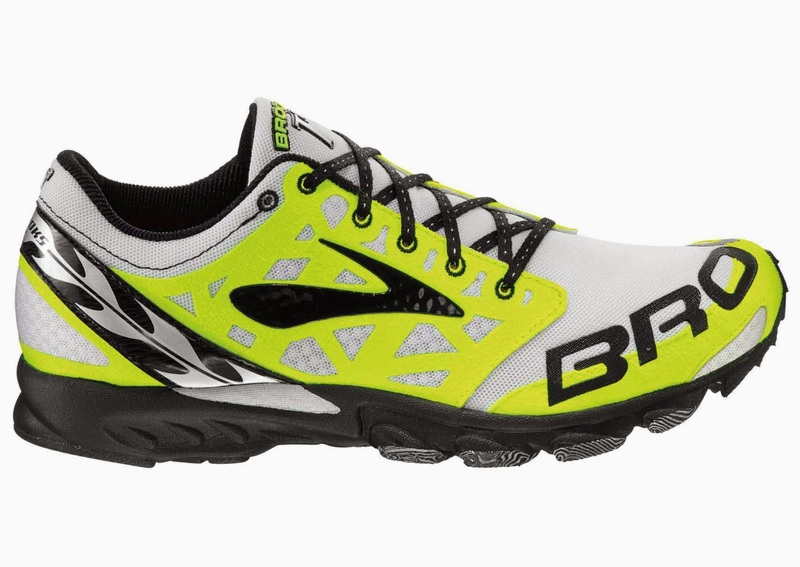 But I'm also running in traditional shoes right now (Brooks Adrenaline), so comparatively it feels very light. The 10m drop doesn't bother me. There is plenty of protection for whatever your footstrike is. The T7 Racer feels a little flatter than that, but for those of you looking for traditional racing flats with some achilles protection, this is it. This shoe will carry you through a 5k or a marathon. 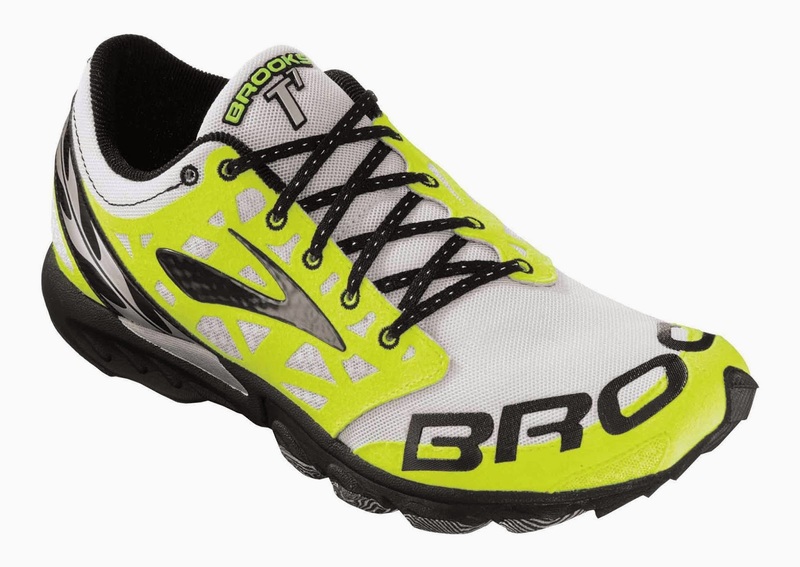 Ryan Vail uses this shoe as his marathon racer as do many of the Brooks Hansons group. The T7 works well as both a workout shoe and a longer racing shoe for me. I tend to use the Brooks ST5 Racer for fartleks and tempos as it has a little more protection. If you have an pronation support needs, you may be better off in something like the Brooks ST5 racer, the Saucony Fastwitch , the Asics DS Racer or the Mizuno Wave Musha (which is being discontinued). I get away with this shoe for 5k and 10ks, but anything longer I use the ST5. It actually feels fairly stable despite the VERY curved last (see the fourth picture, ie the one of the sole, for an idea on how curved). It may just be me acclimating back to neutral shoes after training in the Brooks Adrenaline 14s for a few months. The fit is glove like. This shoe is perfect being worn sockless. Granted I've heard about people complaining about blisters, but I've never worn this shoe with socks and have never had a problem. A little irritation on the medial side of my midfoot during a 2x30 minute tempo run at 5:24 pace each, but no other problem. The interior from the heel to midfoot is fairly soft and the mesh from there forward is very comfortable. With socks it might also be a bit narrow. Without them, I feel no tightness in my forefoot but the shoe locks down my midfoot and heel very well, especially with the lace lock technique. The T7s are very comfortable. In fact I would train in them sockless full time if I didn't like stepping down from heavier trainers so my racing shoes feel very light on race day. 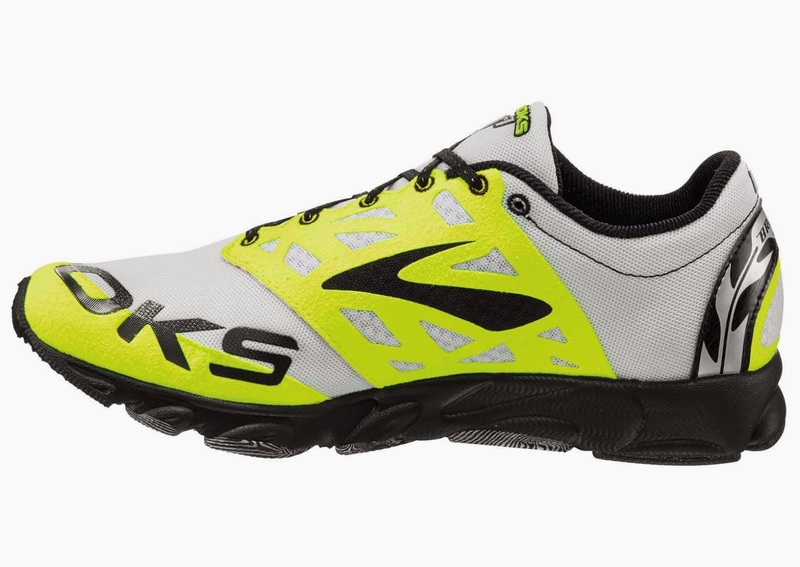 If you are a minimalist runner looking for a shoe with a bit more protection and drop, this might be a good choice. And at $85 it's a pretty good deal. For sizing, I went with my normal size 10 in Brooks. Many people complained that the shoe ran short and suggested going up a half size. That might work if you're wearing socks, but if you like the sockless feel, stick with your normal shoe/racing shoe size. Trying the shoe with socks does make it very narrow, but again, that upper is pretty good. So take your socks off. I HIGHLY suggest trying the T7s and any shoe on before you buy it. Every shoe fits differently and Shoefitr isn't perfect. Wear wise I'm not seeing much at ~50 miles and 2 races in the T7. We'll see once I get more races on them instead of mostly workouts. So far I've only used them for 5ks, speedwork and two longer tempos. Based on what I'm seeing, they have pretty decent durability for an $85 shoe. I'll update this when I get +100 miles on them. So overall a really good shoe. I have enjoyed racing in them and not having my calves as beat up as when I was racing in the Mizuno Wave Universe. I haven't had any problems with the shoe and there's only a few things I'd like to see changed. I would prefer that they moved the T7 racer to a 7-8mm drop shoe and jump into the mid 5-ounce range. I think this shoe is pretty protective for the 5k, but it gets the job done. 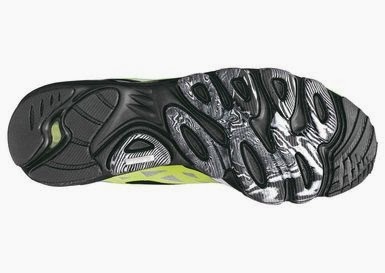 In fact, I think they should move this shoe down and make the Racer ST5 an 8-10mm drop, mid 7 ounce shoe to compete better with the Adidas Adios Boost, Saucony Fastwitch, etc. But that's just me. So again, I highly recommend this shoe for those of you looking for a traditional racing flat with a bit of cushioning and some achilles protection. It's a great 5k-half marathon racing shoe that can probably handle the marathon if you get used to it. The T7 is also an awesome workout workhorse. So at least try them on and see what you think!! Hope you enjoyed my first shoe review! These shoes were a personal purchase and as always, my thoughts are my own. Thanks for reading and don't forget to Tack On. 2/8/14 UPDATE: I am now using these for all my workouts as I have moved to the Brooks Racer ST5/Purecadence 1 for all training. I still love these shoes and have suffered no ill effects doing +10 mile runs in them. *Images are directly from the Brooks Running website . Please go over there and check them out! !